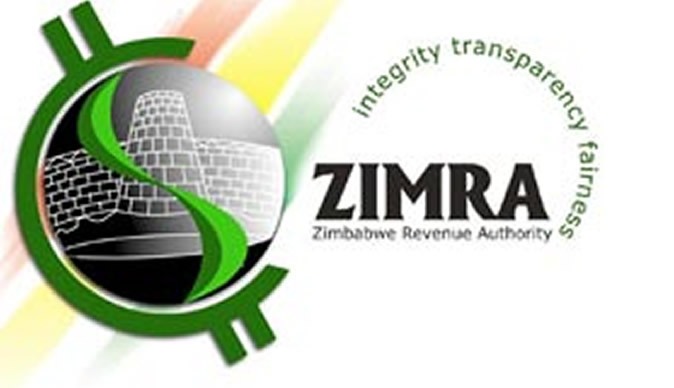 The Zimbabwe Revenue Authority (Zimra) is not charging duty in foreign currency, neither is it considering going that route, an official has said, adding that any such move would need Government's approval before adoption. This was said last week by the executive assistant to the Authority's Commissioner General, Mr John Chakasikwa, in emailed responses to The Sunday Mail Business. Mr Chakasikwa refuted allegations being circulated on social media that Zimra is demanding, or working towards collecting duty in foreign currency. "Please note that the said social media speculation has also come to our attention and it remains just that — speculation," said Mr Chakasikwa. "As you may be aware, any such change in the currency in which duty should be collected is a policy matter. "As such, if there was any policy change in that regard, the Ministry of Finance (and Economic Development) would announce publicly and it would be followed by necessary legislative changes before Zimra as revenue administrators implement." Since the announcement of fiscal and monetary measures, which include the opening of foreign currency accounts (FCAs) by exporting firms, the social media has been churning out several untruths. These have sparked confusion in the market. This has resulted in panic buying of almost every product as citizens seek to either dispose of their RTGS balances or hoard products in anticipation of shortages. Some shops such as Spar Zimbabwe and Edgars Stores Limited temporarily closed as consumers stampeded to buy products before prices were increased to match the then rallying parallel market foreign currency rate. Government has reassured citizens that shortages of products such as cooking oil, sugar and fuel are artificial as they are being caused by panic buying. To meet the high demand for fuel, foreign currency was availed to bulk fuel importers. Already, the fuel situation is showing signs of improvement as a number of service stations across the country have been receiving allocations since Tuesday. At the same time, several OK Zimbabwe and Pick n Pay supermarkets have been occasionally selling both sugar and cooking oil at average prices of $2,19 and $3,79 respectively, although they are rationing the products to avoid hoarding. Each customer was getting at most 4kgs of sugar and 4 litres of cooking oil as of last week, in an attempt to starve the parallel market. Meanwhile, Zimra Commissioner General, Ms Faith Mazani said they are upgrading the Asycuda World System to ensure efficiency when clearing goods at border posts. "We have had problems with our Asycuda system and we are currently rolling out a robust Asycuda upgrade programme and I think our clearing agents have started giving us feedback that things are actually much better than they were since the crash of the system last year," said Ms Mazani. Asycuda provides e-service platforms that enables one to prepare and process their documents from wherever they are. Ms Mazani believes the platform will make it easier for imports to bring in their equipment, especially once Zimra rolls out all the specifications available on the latest Asycuda platform. The Asycuda World system crashed on December 13 last year, resulting in huge delays to clear cargo at the Beitbridge Border post.